The smell of freshly baked goods is my favorite! 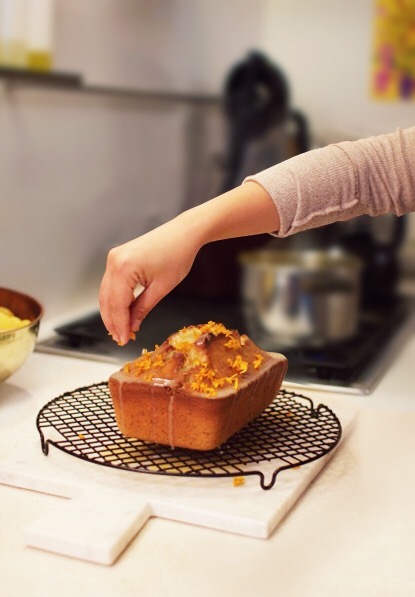 Today I am sharing with you one of my favorite quick breads to serve to guests. 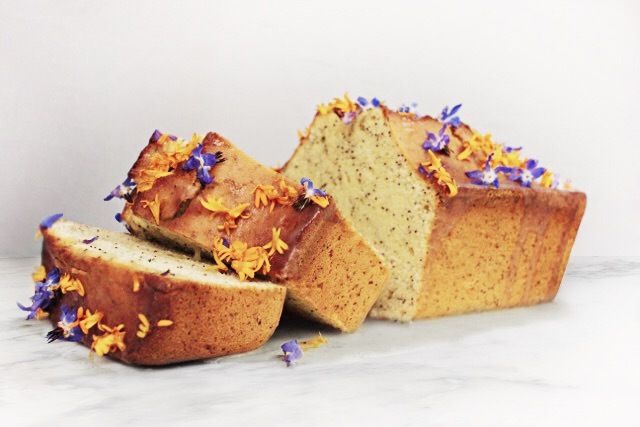 This lemon poppyseed bread is filled with flavor and is perfect with a cup of coffee or even an herbal tea. 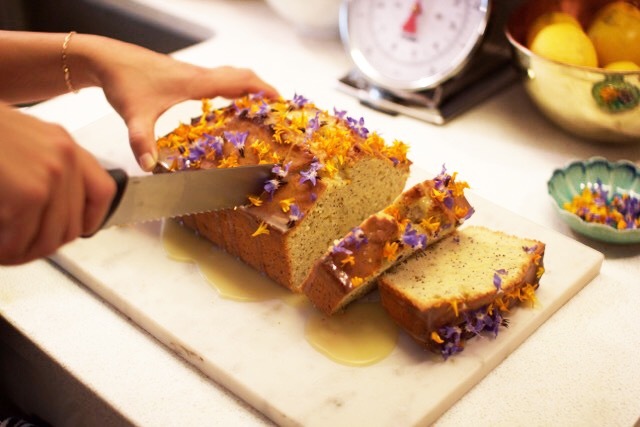 One of the things I really like about this bread is the addition of edible flowers which sit on the glaze. You can find these at your local farmers market or even some grocery stores. Make sure the flowers are meant for eating (this just means they didn’t use any harmful chemicals). Quick breads are fast to make and don’t require a rising time. The only thing you need to look out for is over mixing your batter. Mix the batter until it is just combined otherwise the bread will come out tough. And that’s not the kind of bread we want! 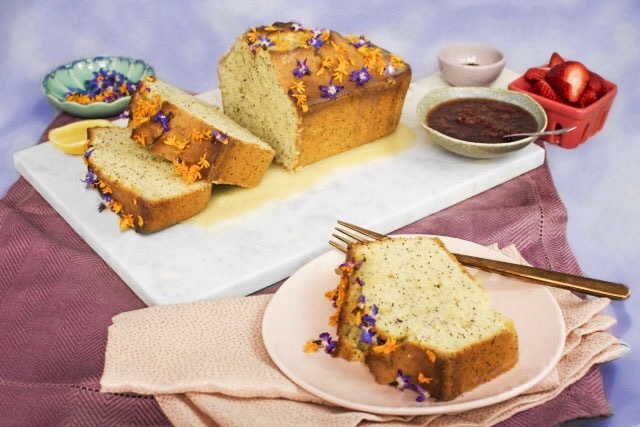 Check out my Lemon Poppyseed Bread Recipe Here!